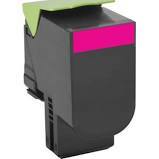 This is a new compatible Laser Toner cartridge. It is not OEM but made by a respected manufacturer which guarantees that it meets all specifications. We guarantee your satisfaction 100%.